The Internal Revenue Service (IRS) issued draft versions of the Affordable Care Act (ACA) reporting forms large employers will begin using next year to report health coverage. The long-awaited draft forms, posted July 24, 2014 to the IRS website, are the first practical application of employers' health insurance coverage and enrollment reporting obligations under the ACA's employer shared responsibility provision (aka the employer mandate). The forms are the primary way the government intends to enforce the ACA's employer shared responsibility provision. Under the ACA, applicable large employers are required to either offer employees health insurance coverage or pay a fee if at least one employee purchases subsidized coverage through the Marketplace. Originally set to begin in 2014, the provision was delayed and is being phased in by employer size. Beginning in 2015, large employers with at least 50 full-time equivalent employees will be required to report coverage and pay any applicable fees. In 2015, there is transition relief available for some employers with 50-99 full-time equivalent (FTE) employees. Small employers with fewer than 50 full-time equivalent employees are not required to offer health insurance, report coverage, or pay fees. The IRS also released draft forms for the small business tax credit, as well as draft forms for individuals to use including healthcare coverage exemptions and the premium tax credit. The draft forms were released without instructions. 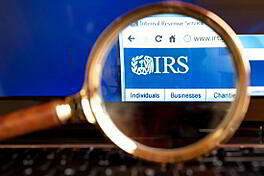 The IRS notes the draft instructions relating to the forms will be posted to IRS.gov later this August and that both the forms and instructions will be finalized later this year (2014).